Red eared slider turtles make wonderful pets, but you have to take good care of them if you want them to live long lives. Learn the right way to feed and house these turtles, as well as how to spot signs of illness. According to Holly Nash, DVM at PetEducation.com, you should try to provide your slider turtle with the following conditions to recreate the type of natural environment this turtle finds in the wild. 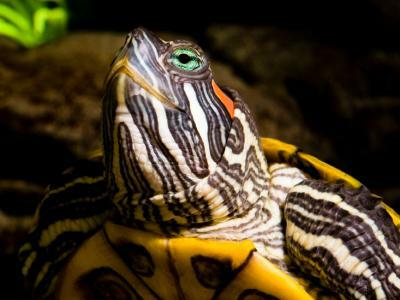 A 55-gallon glass tank is the minimum size you should consider to house a single young slider, but a 75 or even a 125-gallon tank provides a much better fit as that turtle becomes an adult. It should be filled with just enough clean water to cover the turtle when it's turned sideways. It's not necessary to add gravel in the bottom. Gravel may look attractive, but it holds a lot of bacteria, and it makes it more difficult to clean the tank. Some turtles have even been known to become impacted from eating the gravel, so that's another reason to leave the bottom bare. If you must add gravel, use large gravel that isn't swallowed so easily. Sliders need an average water temperature of 75 to 80 degrees F for adults and about 80 to 85 degrees F for hatchlings and youngsters. You'll need a submersible heater to hold the water at the correct temperature and a digital thermometer to display the temperature. Turtles soil their water quite easily, so you'll need to equip your tank with a submersible filter made especially for turtle tanks. Make sure the water line is always above the filter, and keep it running constantly, so your pet's water remains as clean as possible between water changes. Sliders need an area they can leave the water and bask in the light because the additional warmth aids digestion and the production of vitamin D3. You can stack some aquarium rocks to create this space, but only raise it just slightly above the water line so your turtle can climb up easily. You could also use a floating dock which rises and falls with the water level in the tank, and it weighs very little compared to the weight of the rocks. Just attach the dock's frame to the side of the tank with the suction cups. You'll need a screen for the top of your tank, and this screen will hold the lighting for the tank. Place a heat lamp with a 100-watt basking bulb in it on the screen directly over the basking rock about 18 inches above it. You could choose to use a 100-watt ceramic heat emitter instead of a heat lamp if you prefer. Keep the heat on during the daytime, but turn it off at night. The daytime temperature in the basking area should be approximately 85 to 90 degrees F.
You'll need to place a hood equipped with a 10.0 UVB light over the rest of the tank. The spectrum this light provides will help keep your slider healthy. Cleaning your slider's tank is the least pleasant part of sharing your life with these turtles, but it's completely necessary for your pet's health. However, you need to protect your own health as turtles and other reptiles can carry salmonella, so wear a pair of rubber gloves while you're doing it. It's also a good idea to use paper towels to wipe down the tank so you can just dispose them as you finish with them. Place your turtle in a shallow tub of water so you can work on the tank. Unplug the heater and filter. Replace all the water in the tank. Adjust your tap so the water feels about room temperature. This will make it easier for the submersible heater to warm the water back up to the right temperature. Treat the water with a water conditioner to remove chlorine and other harmful chemicals. Rinse the filter to remove excess debris each time you clean, and replace the filter pad completely as recommended by the manufacturer. Wipe down each panel in the tank, as well as the rocks. Replace the water, filter, heater and rocks. Once the water reaches the correct temperature, you're ready to put your pet back into his home. According to Austen's Turtles, hatchlings and young sliders require more protein in their diet to help them grow, but these turtles gradually switch over to a more plant-based diet as they reach adulthood. They still require some protein, just not as much. To ensure your slider gets complete nutrition and an adequate supply of vitamin D, it's usually wisest to feed commercially-prepared turtle pellets for the mainstay of his diet. Ask the breeder or shop where you purchase your turtle from to recommend a brand, but many turtle keepers use ReptoMin. You can also offer a little additional fresh food now and then. Dr. Nash recommends feeding a varied diet. In addition to the pellets, here are some other foods to offer your pet. Protein sources - Good choices include crickets, krill and feeder guppies, as well as cooked chicken and chopped, raw beef. Veggies - Shredded romaine lettuce, collards, mustard greens, carrots and sweet potatoes are all good sources of vitamins and fiber. Avoid feeding iceberg lettuce because it's lower in fiber and has little nutritional value. Fruits - Sliders rarely encounter fruits in their wild habitat, so these foods should be fed sparingly. If you really feel a need to treat your pet, offer him a little bit of banana. 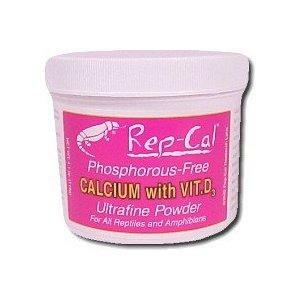 Dust the fresh foods with Rep-Cal to ensure your pet gets enough calcium and vitamin D-3. Juveniles (Up to six months old) - These turtles need to be fed daily to help them grow. They are mainly carnivorous at this point, so feed them a mini-pellet diet, and supplement them occasionally with baby guppies, crickets, or even earthworms. Offer them only as much food as they can eat within a couple of minutes, and then remove any leftovers. Over feeding turtles can cause shell deformities and other health problems. If your turtle's shell begins to take on a pyramid shape, you need to cut back on the amount of protein you feed. Adults (Over six months old) - As your turtle nears six months old, he'll become more omnivorous. Gradually begin offering more leafy vegetables and less insects and feeder fish. You should still feed pellets as the staple of your pet's diet, but you should now only feed your pet every other day. Again, only offer as many pellets as your slider can consume in a few minutes, and then remove the uneaten portion. Water softens the pellets and makes them easier for your turtle to swallow, so it's better to drop them in the water rather than feed directly from your fingers. To keep your tank cleaner, you can try feeding your turtle in a separate, shallow basin of water. To avoid waste, only add three to five pellets initially and see how many your pet consumes in the first five minutes. You can always offer a few more at a time if he eats them quickly and still seems hungry. If your turtle eats steadily when you feed him, limit feeding time to about five minutes or he'll glut himself. If he's a slower eater, you can allow him to feed for up to ten minutes. A slider's environment naturally puts him at risk for bacterial, fungal, and parasitic infections. According to the Tortoise Trust, here are the signs of illness to watch for. 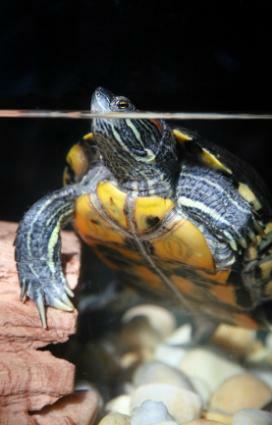 Seek help from a vet experienced in treating aquatic turtles if you notice any of these signs of illness in your pet. Only your vet can make an accurate diagnosis and prescribe the proper treatment for your pet. It's important that you stick to a regular schedule for caring for your slider. Allowing his tank to become foul only makes the job more difficult and letting the bacteria build up endangers his health. Likewise, forgetting to feed your pet will make him weak and susceptible to illness and might even cause his death. Your slider totally depends on you to take care of him, so take that responsibility very seriously.